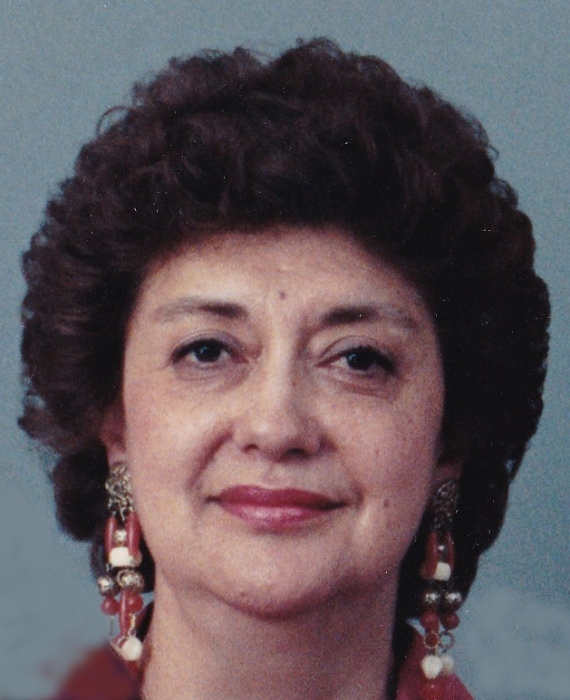 Obituary for Judy Polit | Esterdahl Mortuary and Crematory, Ltd.
Judith “Judy” A. Polit, 79, of Moline, died Sunday, March 24, 2019, at Trinity Medical Center in Rock Island. Visitation will be 9:30 a.m. to 10:00 a.m. on Saturday, March 30th, 2019 at St. Mary’s Church, in Moline. Memorial Mass will begin at 10:00 a.m. A luncheon will follow the service. Burial of cremains will be held at a later day. Memorials may be made to St. Mary’s Catholic Church. Esterdahl Mortuary & Crematory, Ltd. is assisting the family. Judy was born in Quito, Ecuador. The daughter of Cesar Ricaurte & Carmelita Baus Ricaurte. She married Carlos Polit, Sr. on August 17th, 1965 at St. Mary’s Catholic Church in Moline, Il. Judy graduated from Providence High School and attended Central University in Quito, Ecuador before coming to the United Sates in 1960. She applied and completed the necessary courses to become a certified surgical technical assistant at Moline Public Hospital, where she worked for 22 years. She was a member of the small business association and was an active member of St. Mary’s Church as a Heavenly Duster and Decorator. She was nominated on April 23rd, 2013 for “Volunteer of The Year” She was honored in Peoria by the Peoria Diocese council. Judy clearly loved and cherished them all. Judy spent her life teaching her family strength, patience, love, compromise, and endurance to deal with life’s challenges. She always put family first. We were truly blessed to have had Judy in our life. Those left to cherish her memory are her son, Carlos Polit, Jr., daughter-in-law, SiviAnn Polit, three grandchildren, Jeffrey, Katie and Matthew. Brother, Dr. Eduardo Ricaurte (Diane), Sister, Beatriz Latorre, Sister-in-law, Martha Chiriboga, Luchia Polit, Susana Cabrera (Orlando), Brother-in-law Oswaldo Polit. Nieces; Maria Cecilia Chiriboga, Maria Elena Chiriboga, Jenny Espinosa, Lucy Doak (John), Diana Holland (Greg), Gloria Cabrera, Laura Thompson (Corey), Maria Ricaurte and her son, Andrew; Emma Stader (John) and their children, Nick & Jenna; Susana Ponce, Haydee Otero (George), Beatriz Gissel (Roberto), Jackie Vallejo (Juan), Patricia Maldonado (Sebatian) and Monica Rivadeneira (Diego), Carmen Martin (Clay), Lilly Russell (Justin), Sonia Gamache (Robert). Nephews; Diego Chiriboga, Alex Cabrera (Vicki), Steve Cabrera, Dr. Ed Ricaurte (Eve), and their children, Emma, Brandon, Eric & Andrea, Fred Ricaurte (Tina), their children, Jordan, Jake & Joshua; Michael Ricaurte (Kate) and their children, Sonya & Brigette; Jamie Alava, Mario Polit, Oswaldo Polit, and Jaime Polit, Jr. (Beatriz). She was preceded in death by her husband, Carlos Polit, Sr., her parents, brother Luis and sister Martha.